Your home equity loan or home equity line of credit could dash your dreams of reducing your monthly mortgage payment through a refinance. Blame a complicated mortgage-lending quirk known as resubordination. When you refinance your first mortgage loan, the holder of your second mortgage - whether it's a second loan or a line of credit -- has the legal right to move to the front of the line to receive any funds if you should lose your home to foreclosure. And if this lender doesn't agree to pass on that right and remain in second place - when the holders of second loans do this it is known as resubordination -- your refinance might be scuttled. The good news? Lenders holding second mortgage loans are usually willing to grant a resubordination request. Richard Morris, vice president of investor relations and equity lending with Merrifield, Va.-based Navy Federal Credit Union, said that his financial institution rarely rejects such requests. There are, though, exceptions. "If the request is in the best interests of the borrower, we will usually grant the subordination request," Morris said. "The only time we might not accept it is if the borrower is attempting to pull out cash and refinance for a much higher loan amount. Then we might reconsider the request." But even cash-out refinances don't result in an automatic "no" from Navy Federal, Morris said. "We do approve subordination requests for cash-out refinances," Morris said. "But we do look at them on a case-by-case basis. It usually depends on how much larger the new loan will be." It should be noted though, that lenders may hesitate to resubordinate a second mortgage loan if you have little or negative equity, such as in the case of a HARP refinance. Lenders worry that if you have negative equity, you'll be more likely to default on your mortgage loan payments. This would leave them in a situation in which they have a higher risk of not getting paid. 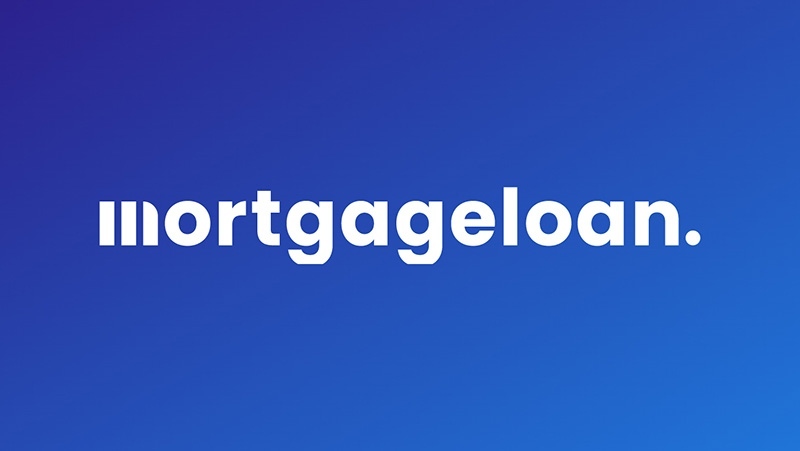 Here's how the first-mortgage second-mortgage relationship works: If you default on your mortgage loan and your property falls into foreclosure, the holder of your first mortgage loan will be paid off first after a bank or other financial institution sells your home. The holder of your second mortgage is only paid if there is any money left over. The mortgage provider holding your second loan or home equity line of credit, then, has assumed a riskier position. If you default, it's less likely that this mortgage lender will ever get paid. This is why the interest rates attached to a second mortgage loan are usually higher than those that come with a first. If you choose to refinance your first mortgage loan, the holder of your second loan would automatically move into first place, meaning it would be paid first if your home is eventually sold through foreclosure. The lender handling your refinance won't agree to this. Because this lender is giving you a lower interest rate, it would receive no financial benefit to taking on greater risk. A lender, then, won't refinance your first loan unless the holder of your second agrees to voluntarily remain in that second, or subordinate, position. If your second lien holder agrees to the resubordination, your refinance can proceed smoothly. But what if it doesn't? Then your refinance might be in trouble. And this is especially true if your home has lost value since you purchased it. One of the options when a second lien holder doesn't agree to subordinate is to refinance your first mortgage loan for a higher amount than what you owe and then use the extra money to pay off the second mortgage loan. For instance, if you owe $150,000 on your first mortgage loan and you owe $40,000 on your second, you may be able to refinance for $190,000 and use that extra $40,000 to pay off your second loan. This option won't work, though, if you don't have enough home equity to pull out extra money. And unfortunately for many owners, that equity isn't there today. Many homeowners who bought their homes during the height of the real estate boom in 2005 or 2006 might have seen their residences lose value. They might now owe $200,000 on their mortgage loan even though their homes are worth just $180,000. They are then underwater by $20,000. In such cases, these owners won't be able to refinance for more than what they owe on their loans and, because of this, won't be able to generate extra cash to pay off a second mortgage loan. Those owners who have extra cash can, of course, just pay off their second mortgage loan with their own assets. This will usually only work if the balance on the second loan isn't high. There aren't many owners who have tens of thousands of extra dollars lying around. If your second lender doesn't agree to resubordinate and you don't have extra cash or enough equity in your home? Then you'll have to wait to refinance until you have built up this equity or you have saved up enough money to pay off your second mortgage loan. "We don't have any magic wand to make a refinance go through," said Dean Vlamis, senior vice president of mortgage lending in the Chicago office of mortgage broker Guaranteed Rate. "If a company won't subordinate, you'll be stuck." The good news? This doesn't happen much. As Vlamis said, if you have a history of making your payments on time and sufficient home equity, there really is no reason for the second mortgage holder to refuse your resubordination request. To get the process started, your lender will send what is known as a subordination package to the company holding your second loan. This package contains all the documents that the lender has collected from you, documents that verify your income, employment status and monthly debts. It can take lenders time to respond to such packages, at times as long as six weeks. And many lenders charge a fee to review the subordination package, a fee that might run as high as $100. Your lender will probably pass this fee to you. What would cause a second loan holder to not agree to a subordinate a loan? Don Frommeyer, chief executive officer of the National Association of Mortgage Brokers, says that second lien holders want to make sure that homeowners can afford to make their mortgage payments. In most cases, a refinance will reduce the monthly payments of homeowners, so the holders of second mortgage loans have no problem agreeing to resubordination. But there are times when homeowners want to apply for a cash-out refinance. They might owe $100,000 on their mortgage loan and refinance to a new loan of $130,000. They'll then use that extra $30,000 in cash to pay for a child's college education, fund home repairs or pay off credit-card debt. In such cases, a second mortgage holder might refuse resubordination over worries that the homeowner won't be able to afford the higher monthly payments that come with a larger mortgage loan. "They will hold up a subordination if they don't feel that the new loan is in the best interests of the homeowner," Frommeyer said. Some homeowners might want to refinance their first and second mortgage loans into one loan with one monthly payment. That won't happen, though, for homeowners who don't have equity in their homes. These homeowners will have to settle for refinancing their first mortgage loan and leaving their second loan as is, if the holder of the second loan agrees to a resubordination. "That might not be your ideal solution, but at least you can refinance your first loan. That will still give you a lower overall monthly mortgage payment," Vlamis said. "Sometimes that's the best you can do in this market."